I enjoy blogging about motherhood and sharing free parenting resources. 1. Season the chicken with salt and pepper to taste. Cook the cubed chicken in a pan, over medium heat with olive oil, for 4 minutes. Flip chicken and cook for 4 more minutes, until the chicken is cooked through. Drizzle 4 tablespoons of Ranch dressing and 2 tablespoons of Tabasco sauce on top. 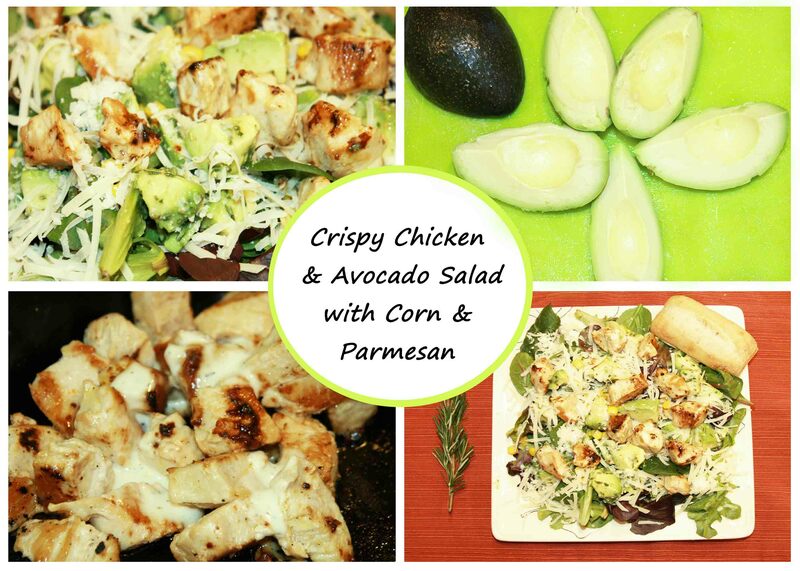 Let the chicken rest as you prepare the rest of the salad. 2. Mix the lemon juice, olive oil, and rosemary together. Toss the cubed avocado in the mixture. 3. 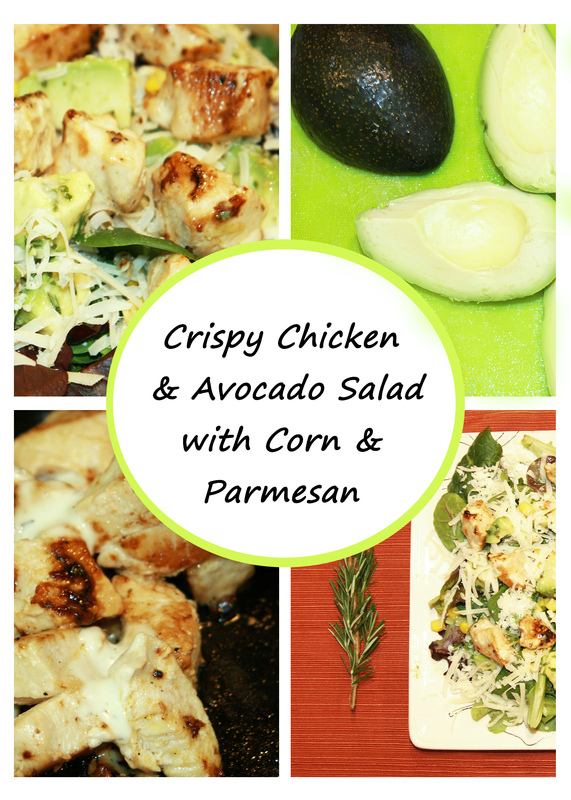 Layer the chicken, corn, avocado, and Parmesan cheese, on a bed of mixed greens. 4. Garnish with rosemary and serve with a slice of bread, if you wish.